Heavy metal legends Iron Maiden have released an official music video for "Speed Of Light," the first single from their upcoming 16th studio album, The Book Of Souls. Watch it below, along with a behind the scenes clip of the making of the video. 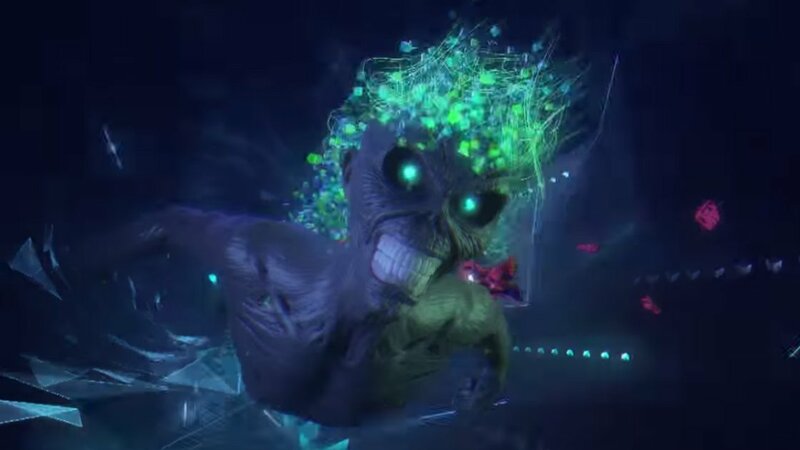 The captivating video finds Iron Maiden's mascot, Eddie the Head, traveling through space and winding up in four different video game action sequences. In order, we're taken through levels similar to Donkey Kong, Contra, Mortal Kombat, and Halo. UPDATE: Iron Maiden launched a free online video game in the style of the first portion of the music video. Play the game at speedoflight.ironmaiden.com. Director and producer Llexi Leon goes in depth about the making of the video, from what styles of Eddie should be used to represent the different eras of Iron Maiden to how Bruce Dickinson's lyrics helped to shape Eddie's form throughout the video. Sketch drawings and computer animation are shown to help get an understanding of the process. Mr. Leon also explains how today's modern animation has reached a point where he feels they can do justice to the Eddie character by making him as detailed as possible. As a treat for Iron Maiden fans, he mentions that the viewer should keep a look out in the video for references to past Iron Maiden imagery. The song sounds like Iron Maiden haven't lost their flair for delivering headbanging metal with heavy guitar riffs, high energy drumming, and Bruce Dickinson's soaring vocals. 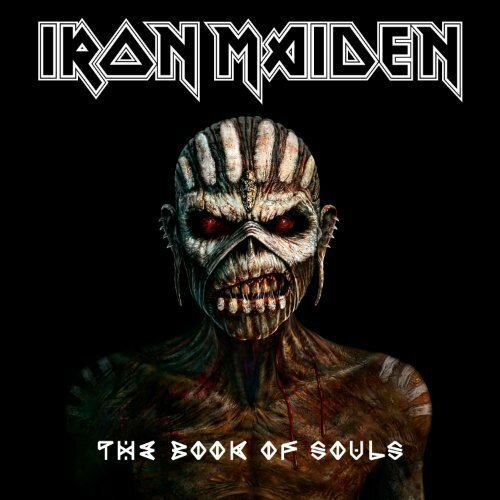 You can pick up The Book Of Souls on Amazon (Vinyl, CD, MP3). It's set for a September 4th, 2015 release. At about five minutes, "Speed Of Light" is actually one of the shortest songs on The Book Of Souls. The double-album clocks in at 92 minutes, with three songs over 10 minutes. For Iron Maiden's latest music, news, and tour dates, check out their Zumic artist page.